Immigrant Dreams & Alien Nightmares is an epic debut collection that chronicles twenty-five years of José Torres-Tama’s poetry in his unique bilingual and hybrid voice. Labeled a “Permanent Resident Alien” during his entry into GringoLandia at the age of 7, he explores the psychic, physical, and open wounds of an Ecuadorian immigrant balancing two languages and cultures, challenging the United States to live up to its mythic ideals as the beacon of democracy. Inspired by writers like Ntozake Shange, Guillermo Gómez-Peña, and Martín Espada, his poems document migratory leaps from Guayaquil, Ecuador to New York City, where his family owned a coffee-wagon business in Union Square, and Jersey City, where his teen-age rites of passage forged his urban warrior persona, to the Caribbean-influenced port city of New Orleans, his muse and adopted home since 1984. ... And the poems gathered here are a testament to his ability to wield that tongue in two languages, to make it dance for his readers both on the page and in the Out-Loud of performance for which he is so well known. 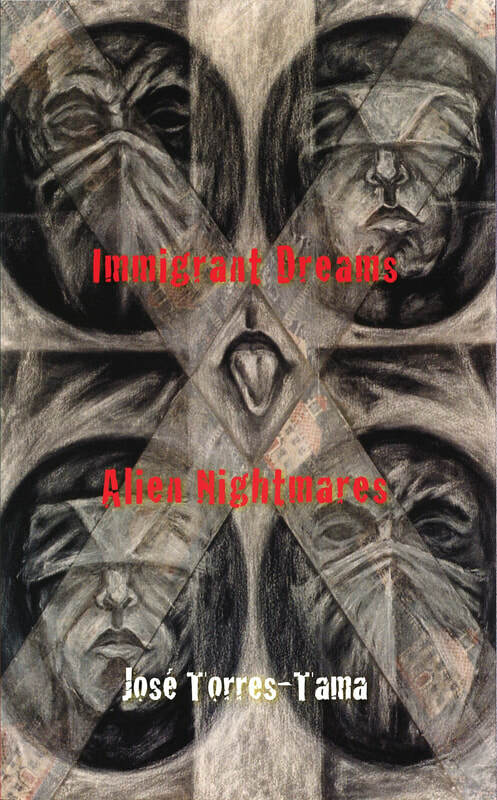 Compiled over many years, Immigrant Dreams & Alien Nightmares is a book worth the wait. José Torres-Tama es un malabarista de palabras e imágenes, de mundos y realidades. Y estos poemas respiran el fuego. ---Brenda Marie Osbey, author of History and Other Poems (Time Being Books, 2013), Distinguished Visiting Professor Department of Africana Studies, Brown University; Poet Laureate of Louisiana 2005-2007. José Torres-Tama’s work is vast, beautiful, razor-sharp and misbehaving. The vastness is in its tremendous variety of rhythms and languages, only some of which are English and Spanish and Spanglish, while others are New Orleanese, jazz, and shards of the spoken-and-accented. ---Andrei Codrescu, author of Whatever Gets you Through The Night: a Story of Sheherezade and the Arabian Nights. His strong poems announce his engagement with life and languages, his wit, his surgical ironies. They assure us that Torres-Tama is un hombre bajo la piel de otra tierrra in the tradition of Langston Hughes, Eduardo Galeano, Amiri Baraka and Ernesto Cardenal. His gift is an epistemology for a needful time. ---Jerry W. Ward, Jr., author of The Katrina Papers: A Journal of Trauma and Recovery, Famous Overseas Professor, Central China Normal University (Wuhan). José Torres-Tama wants us to “wake up and smell the café con leche”, to learn the power of mixing español and English in a new and vital poetic hybrid... He cries for justice and his passionate voice sings the triumph of la poesía for the immigrants, the migrant laborers, the dispossessed and the homeless, and makes for them, in his poetry, a new home. ---Rodger Kamenetz, author of To Die Next To You and The Lowercase Jew. … the Brown man's manifesto of harassment, his art breaking through concrete like ancient roots defying boundaries of race, culture, emerging celebratory, "drunk with possibilities," painted in verse whose "tongue" is on fire with a truth that will fill empty bellies with beauty and a truly Americas Mosaic for the ages. You will rock with Amens, bite your lip with anger, and give thanks for this, Torres-Tama's work, required reading for all humanity. --Mona Lisa Saloy, author of Second Line Home and Red Beans And Ricely Yours. Les gens de couleur libres are considered the first multiracial people in the United States, borne of an illegal but tolerated mixing between the French, Spanish, and African races of colonial Louisiana. This visual history project celebrates the legacy of New Orleans’ hybrid caste and their cultural and political contributions. Inspired by archival photographs and paintings, José Torres-Tama’s colorful and expressionistic portraits identify an 18th and 19th century Creole intelligentsia of artists and activists who fought to dismantle the institutional prejudices of their times. 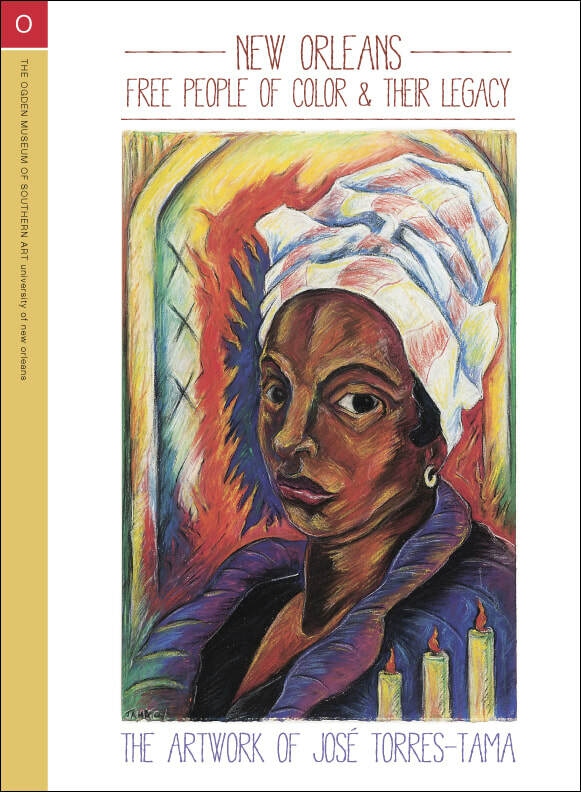 His contemporary rendering of Marie Laveau, the renowned voodoo priestess and most iconic free woman of color, graces the cover. Published by the Ogden Museum of Southern Art, New Orleans Free People of Color & Their Legacy is a book that marries art and Creole history like no other. The book documents José Torres-Tama's interpretive portraits of prominent Creoles of color and the Ogden Museum's art exhibition of the same name. The publication was funded with the support of the Joan Mitchell Foundation in New York. The book includes biographical notes on each individual portrayed and a time line of New Orleans colonial history, both written by Creole historian Keith Weldon Medley.